Paul wraps up his explanation of life in the body of Christ, The Fellowship Project, as we’ve dubbed it with the heart of Christian stewardship. V We give to God because everything that is ours is naturally His because we are His! The following Vimeo video segment is from our Bethany Blueprint Formation Group Series which explains the Biblical details and Christian responsibility of Proportionate Giving in approximately 7 minutes. · Click HERE to view the video. · If unable to open link then copy/paste this into your browser: http://vimeo.com/62291532. We are God’s fellow workers and His field! As His field, Christ has worked for and in us. Now, as God’s fellow workers, our Lord will work with and through us. In Bethany Blueprint language we call this a commitment to worshipping faithfully, forming spiritually, serving passionately, giving proportionately, and sharing intentionally. As God’s fellow worker commit worshipping faithfully; the Lord is committed to being here in His house. He is committed to speaking to you through His Word, listening to you in prayer, accepting you as you are, receiving your praise and adoration, hearing your confession, and declaring to you His mercy and absolution. In response His co-workers are to commit themselves fully to the Lord via faithful, regular worship. As God’s fellow workers commit to forming spiritually; the Lord is committed to not allowing His Word to return empty or void but to do what He intended for it to do IN you! While not every passage may speak to you as equally powerful as others, every passage is God’s self-revelation, each text of Scripture is His communication and He is committed to revealing Himself through the Word. 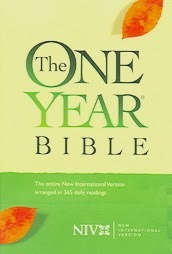 In response His co-workers are to commit to reading their Bible, attending a study or small group. As God’s fellow workers commit to serving passionately; the Lord is committed to working in our world and in your life through Word, Sacrament, and His servants. In response His co-workers are to commit to being God’s hands and God’s voice in the home and office, in the ministry of the church or the daily doings and seeing those they serve as the Lord Himself. As God’s fellow workers commit to sharing intentionally; Christ is committed to being with us to the very end of the age, to sending His Spirit to give us words to speak, and to placing us on a hill to shine for Him. 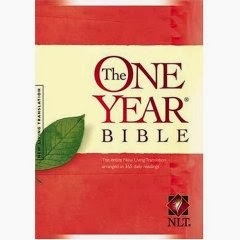 In response His co-workers are to commit to reflecting word and deed the love of the Lord. As God’s fellow workers commit to giving proportionately; Our Lord is committed to providing daily bread, to blessing us with what He knows we need and in response His co-workers are called to commit to bringing an offering into His house. Commitment to a proportionate gift begins with the recognition that all we have is His. It continues with the understanding that through returning a first fruit portion thereof we glorify God as a generous giver and bless His body through the funding of ministry. 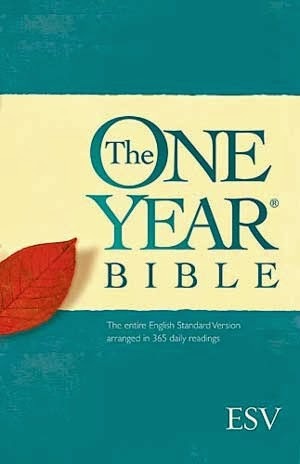 This is the 11th year that I have read through the Bible using "The One Year Bible" format. It has been a profound blessing to me as I read God's powerful word daily and then write some of my thoughts and insights. I will freely admit that over the years I have recycled many of my thoughts. In doing so it turns out that this year I am a week ahead of myself in these posts. So, to get us back on track I am not posting anything new this week, instead I will be honest enough to say please forgive me if you have done this study before and it seems like deja vu as you read my notes. If this is your first time going through this study, well, I guess you know my secret. Each week I do review my notes and make some updates etc. Thanks for your understanding and for your commitment to reading God's Word daily and deeply. Paul has already established the foundation of “The Fellowship Project.” In the body of Christ (contrary to human nature and our weakened wills) superiority is to give way to unity and ownership is to be replaced by fellowship. In the body, harmony is not a matter of everyone agreeing with me! Of course that doesn’t mean that there are no standards, no absolutes, and no truth. · When God speaks – we affirm! Yet, when God is silent we will not be strident and where God has allowed Christian Freedom we will not pass church law! Building atop that foundation, Paul made clear the dichotomy that exists between faith and unbelief, between human nature and divine revelation – that the cross is non-sense to those who don’t believe, the cross is offensive to those who don’t trust but to we who believe the cross is the wisdom of God and the power of God. The next building block in this (the Fellowship Project) is how we, who view the cross as the wisdom of God, will exercise spiritual wisdom ourselves in our own life. True spiritual wisdom is found in judging one’s self in light of God’s revelation and in loving others in light of God’s revelation. True spiritual wisdom is found in judging one’s self in light of God’s revelation what we might call the necessity of the cross; and true spiritual wisdom is found in loving others in light of God’s revelation what we might call the sufficiency of Christ. 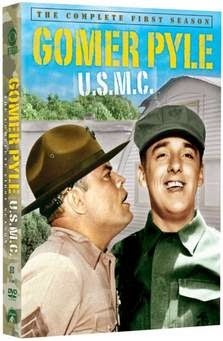 The way Paul speaks of himself there you’d think he was Gomer Pyle or the teacher in Peanuts. Nothing could be further from the truth; Paul was a profound orator! Picture this…you’re traveling in a foreign country, you’ve come to the University town in which the intelligencia congregate you’re surrounded by, degreed philosophically minded people, and you want to tell them about Jesus (now mind you Jesus is a totally foreign concept to them for although they are educated, the person and work of Jesus has never been in their curricula.) What do you do? Paul gravitates toward their artwork and monuments; when he finds one dedicated to an unknown god he says, “I see good people that you are very religious, you even have a monument to an unknown god, what is unknown to you I can tell you about. The God who made the heavens and the earth and every creature on it, He set the seasons and gave breath to its people…as a matter of fact even your own poets whom you educated folk have read have said, “we are his offspring”, well that God is not far off or uninvolved with us! In fact, He wants all of us to turn to Him and have a relationship with Him and He has proven this through the sacrificial death of Jesus whom He has raised from the dead. 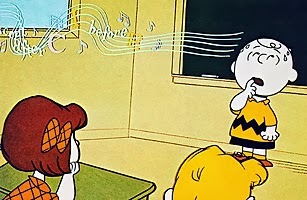 · Sound like someone without rhetorical skills? · Does this sound like someone without persuasive intellectual arguments? · Does this really line up with Paul’s self assessment? I believe these are the words of a man who knows that while he might be good with words and before crowds, he also knows that in and of himself he isn’t good with or before God. These are the words of a man who is judging himself in light of God’s revelation. This is a testament to the necessity of the cross, it verifies our lost condition. The Fellowship Project comes to a crashing halt and the church ceases to be the body of Christ when her members begin believing that they are worthy of God’s call, that they have earned God’s admiration and that they dwell within His body based on their ability, performance, or work. No matter how talented or brilliant we are, no matter how many degrees we have or from whence they come, regardless of how much we stand out from the crowd, in the Light of God’s revelation we can’t stand before Him on our own. That is why Christ came! That is the necessity of the cross. While judging ourselves in light of God’s revelation flows out of fully embracing the necessity of the cross, loving others in light of God’s revelation flows from trusting in the sufficiency of Christ. This begins by knowing that they (WHOEVER they are and whatever they have done) they are as precious to God as we are. They, whoever they are, are as important to God as we are. They, whoever they are, are as cherished by God as we are. Paul had every reason to wash his hands, start a new church, worry about the other congregated bodies and forget about Corinth, every reason but ONE: the sufficiency of Christ. Were these folk a pain? Yep! Did they offend? You bet! Had they failed to be what they were called to be? No question! Sound like people you know? What do you do with folk like that? Love them and serve them passionately because of the sufficiency of Christ. This week we saw the familiar words of institution as Jesus gives his disciples communion for the first time. Remember that meals were very important for the Jews and the connection that this new meal of remembrance first occurred during Passover is by no means a coincidence. Remember that Matthew is writing to a Jewish audience and this new covenant made in blood would ring a bell with all his readers. This would cut to the heart of any Jew, hearing about this because blood equals life. It is not in our culture to think of that. In fact when people outside of the Christian faith hear about being washed in the blood of the lamb, they get turned off from Christianity. I guess my point here is we need to watch how we word some things. To a Jewish audience, Matthew does the culturally relevant thing; when we share the message of Jesus we need to be careful not to offend or even gross out someone when talking about blood. I want to say a few words about the Great commission that we will read later this week, and I hope not to loose you when I start talking about Greek grammar. First of all every time we translate the Bible from its original languages we loose something. The phrase “Lost in translation” is really true. At times when we translate into English we then, without thinking place certain rules and meaning based on sentence structure and word order. Unfortunately many people, myself included, have misinterpreted portions of scripture because of our cultural bias toward English. In reading the Great Commission in English it seems to be that Jesus is giving us a command (called an imperative) in the word “go”, but in the Greek this word is an adverbial participle, not an imperative. What is an adverbial participle? The action described by an adverbial participle is primarily directed toward the verb. This kind of participle is usually translated with an adverbial phrase. “While studying for his Greek final...” or “While going through the world...”. So we see in Matthew 28 an interesting grammatical sentence that if translated properly is very poor English. A very literal interpretation would be, “As you are going, disciple all the nations, by baptizing them in the name of the Father and of the Son and of the Holy Spirit, teaching them to observe all things...” The only imperative in the Great Commission is to disciple others—literally to make them learners. How do we do it? Well, Jesus tells us, we are to baptize and teach. Again these words are not imperatives but the natural flow of what will occur by “discipling” others. Don’t even get me started on the NIVs use of the word “obey”. What a poor translation that is. We are to observe the things of Jesus through his word and actions and they serve as a guide. They are descriptive on how we are to live not prescriptive. I could go on about this one but we don’t have time here. Seahawk fans break forth in joy! Oh Great Northwest rejoice! Your time has come O land of coffee and grunge. The 12th man is celebrating their victory from Super Bowl Sunday still. Underscore THEIR victory. Now mind you I know something about such boasts and this time next year I’ll be planning to do so again when the Steelers get number 7. But I digress; the victory which sports fans boast in, is a victory mind you, that they played ABSOLUTELY NO ROLE IN WHATSOEVER. They bought the jersey, cheered the team, watched the game(s), but they never stepped onto the field, blocked tackled, punted or passed, caught or carried; and yet for them, for that fan, the victory is theirs! Let him who boasts, boast in the Lord. St. Paul’s declaration to the Corinthian congregation was that our boasting is to be based NOT ON what we’ve done, but in that through which we’ve won! Something any football fan can understand. Many however, even the greatest sports fans, do have trouble understanding the spiritual illustration of the above principal. That is why Paul calls the message of the cross “foolishness and non-sense.” The very notion that there is nothing I can do to make myself appealing to God and that God Himself must to do everything necessary to save us is not appealing to us by nature! God’s way of saving people is contrary to every reasonable plan we humans might come up with. He chooses to save creatures that have nothing to offer Him, who have totally offended Him and who have wholeheartedly turned away from Him. He does so solely by His own action in Christ’s cross (that is “Paul shorthand” for Jesus’ perfect, holy and sinless life and for His innocent suffering and death). That is why apart from Him we have nothing to boast of! The difference from the Super Bowl boasting fan and the Christi-(f)-an’s boasting is that all the Seahawk fan has gained is boasting rights and gear to wear for a year! Through the cross (more specifically, faith in the crucified and risen ONE) we the, Christi(f)an, gain the championship itself; far greater than boasting rights that our team is the champ…is the right to boast we’ve become more than champions in Him.